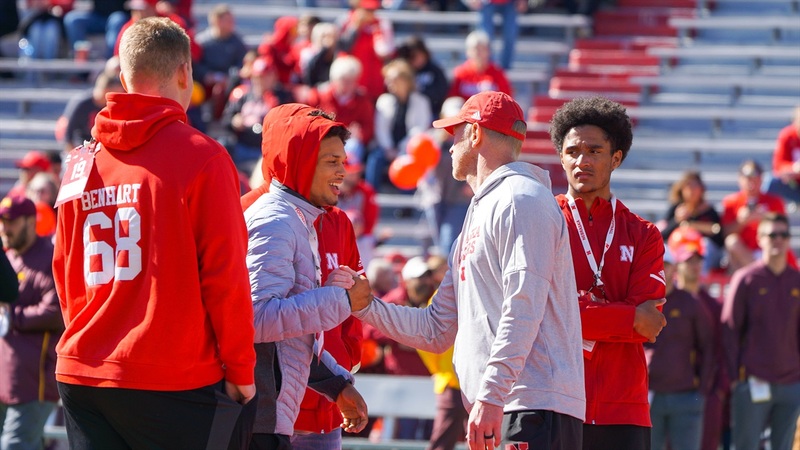 During the 2019 recruiting cycle, the Huskers signed several big-time players that they hope will make a big impact in the Big Ten in the coming years. One player that we could see sooner than later is defensive back Noa Pola-Gates‍ out of Arizona (or ‘Big Noa Pola’ as Travis Fisher called him). Since Pola-Gates wanted to keep his decision under wraps until the Polynesian Bowl, Coach Scott Frost was unable to talk about him during his December signing day press conference. On Wednesday, he was asked about the hard-hitting playmaker and gave an interesting look at the team effort it took to get him. “We fought hard for a lot of our commits, a lot of guys put a lot of time in for these guys and I tip my cap to the coaching staff,” Frost said. “Coach Fisher, Coach Chinander, Coach Held, Coach Verduzco and Coach Dawson were all involved in recruiting him. I think he felt at home here, I think he felt like this was a good opportunity. He’s a dynamic playmaker, he’s aggressive. You saw him hit on Wandale [Robinson] in the All-Star Game and you could kind of see what both kids are made of from that play and that game in general. So, Fisher likes his versatility and Frost loves the speed and attitude that Pola-Gates can bring to the table. There could be a bright future ahead for Pola-Gates as he begins his collegiate career this summer. >> Nebraska has sold 80,000 tickets to the spring game, as we saw on offensive coordinator Troy Walters’ Twitter feed. Lots of recruits for 2020 were paying attention to that. >> Incoming freshman defensive lineman Ty Robinson is getting himself ready for Zach Duval workouts. >> Pola-Gates did a quick video with Hudl showcasing his excitement for committing to Nebraska. >> Zac Taylor is a ‘football guy’ according to Scott Frost and that was evident at NU, writes Mike Babcock. >> The Hail Varsity staff took your questions in a recruiting mailbag to wrap up the 2019 class. >> The NFL released its draft combine invites and only one Husker made the cut.